* Add a little, or a add a lot, it's all up to you and your own taste, but remember sparkle is a good thing. Especially when you choose Martha Stewart Glitters. * Set also includes glue. 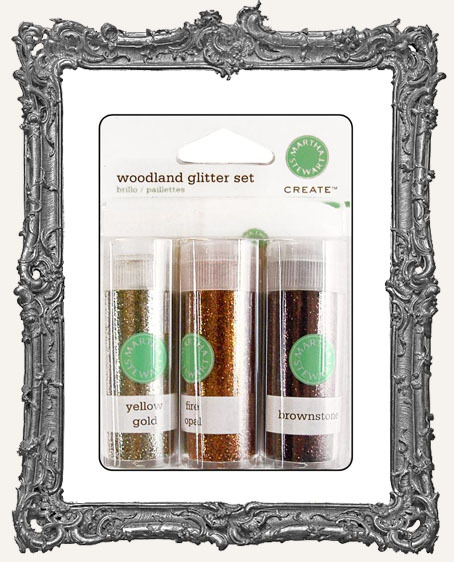 * Woodland 3pk - This set include 3 vials, each with 0.37 ounce glitter and one .18 ounce of glue. Colors include Yellow Gold, Fire Opal, and Brownstone. * Perfect for glittering up our Halloween Cut-Outs!